A salient and actionable guide confronting one of our nation’s most pressing crises. Chapter 1- Everybody Has to Go to Work—at Some Point in Time! Chapter 4 – Why Do Some Students Fail? Really! “The truth is, if you want a decent job that will lead to a decent life today, then you have to work harder, regularly reinvent yourself, obtain at least some form of postsecondary education, make sure that you’re engaged in lifelong learning and play by the rules…..we terribly mislead people by saying otherwise.” Thomas Friedman, New York Times Columnist and author. Yet never before has so many US students failed to get what is needed to prepare for the next steps they need to take in their lives. 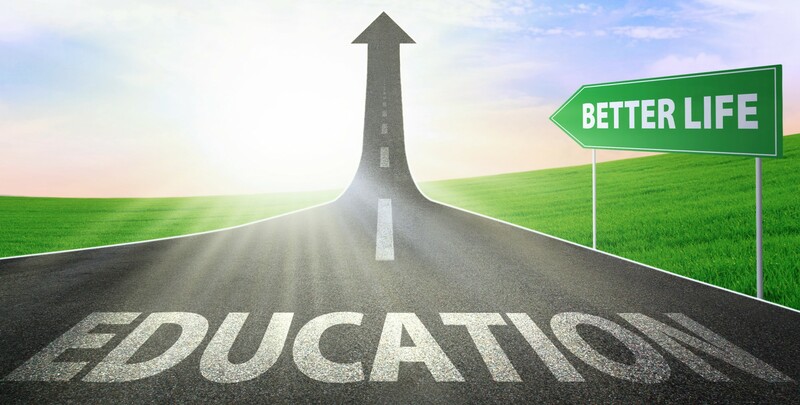 The world has changed in ways that U.S. systems of education and training have not kept pace. Public education cannot be counted on to prepare students to pass college-level courses. Getting admitted into college no longer makes success a slam dunk. More and more students are taking longer to complete career and job preparation programs. Many do not complete their studies or training at all. And too many students are finding themselves in substantial debt or having used their financial assistance without getting the preparation needed for the jobs and careers they desire. High School Is Not Enough gives readers the tools to help students, and students the ability to themselves, prepare for a world that is changing rapidly. An insider’s view of higher education and training is given so students, parents and others are aware of what awaits them after high school. Questions are offered to help students determine what is important to them in their lives and what skills they will need to pursue the careers and jobs they desire. Strategies for decision making are offered to help students determine where they have the best possible opportunity to succeed. Tools and tips for saving time, money and energy are included to assure that students have the ability to get the education and training needed for this ever changing world. This salient and actionable guide is also certain to open eyes. Challenging current attitudes and messages about college admissions and the value of training programs, Dr. Branch emphasizes that college admissions should no longer be the standard for success by which students are judged. Rather, the measure of student success is the acquisition of the skills needed which prepares students for their first job or career. “In the past, those who did not continue their education or training after high school could always find a job that supported them and their families. And those who did continue could always count on that additional education and training to be the pathway for improving their lives. Today’s students do not have either of those guarantees,” R. Wayne Branch, PhD, writes. And while the world moves at breakneck speed, students in the United States are stuck with ways of educating and training that prevent many from getting what they need for today’s careers and jobs, much less tomorrow’s. Every student needs education or training after high school. 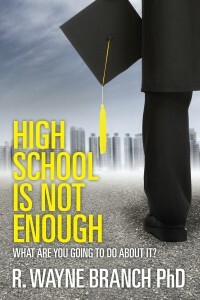 High School Is Not Enough is a must read for high school students, parents, counselors, teachers, policy makers or anyone interested in student success. In High School Is Not Enough, Dr. Branch has explained the complexities of education, training, and career preparation in ways that are understandable and transparent. The experiences he shares illustrate important preparation, considerations, and choices that determine educational success and eventually the quality of life every young person will have in a rapidly changing world. This is a book that can make a big difference for students as they prepare to navigate the world ahead of them most effectively and efficiently. The author stimulates an important conversation. This book is not for just students, teachers, parents or administrators. High School Is Not Enough delivers relevant insights to all who of us who have participated, invested, benefited and shared the American education experience. Each chapter reads like a missive that encourages the learner to not only observe, but to engage, and to improve the valuable products of the American education system. After reading this "perfect gift" one is compelled to do something, because we now understand. Dr. R. Wayne Branch skillfully provides a “primer” for high school students, their parents/guardians, and educators for the variety of options available to students once they graduate from high school. ...he aptly describes the 21st century reality in which high school graduates have to operate... The book is well organized, easy to read and understand, contains relevant anecdotes, and, in some sections, speaks directly to the reader. What I like best about the book is that Dr. Branch does not hold back. 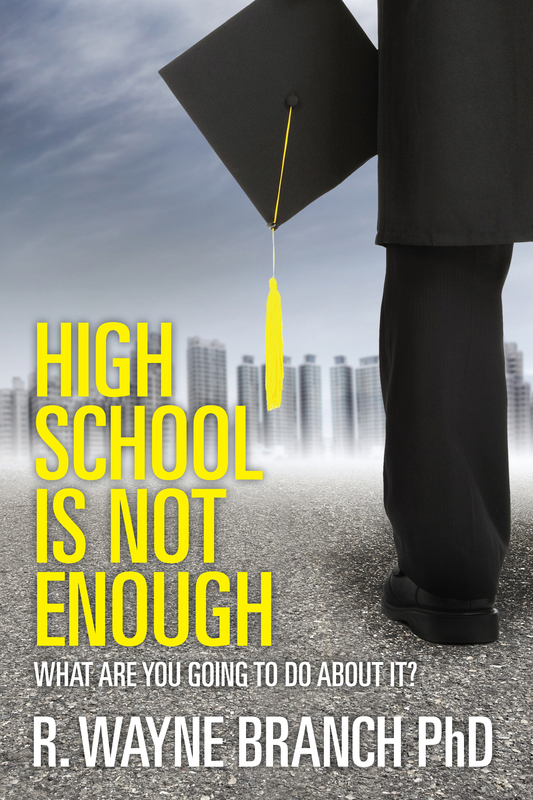 He presents the total picture of what the high school graduate faces and offers realistic recommendations as to what to do about it, which is what he suggests in the title. It should be required reading for every high school student beginning as early as 9th grade. This book provides parents, high school guidance counselors and other education professionals with ample material to lead sustained discussions about educational and career planning. As Dr. Branch maintains throughout the text, creating a vision for the future is key to the long-term success of new high school graduates. This book encourages high school students to be forward thinking about the lives they want to live and the skills and education needed to get there.